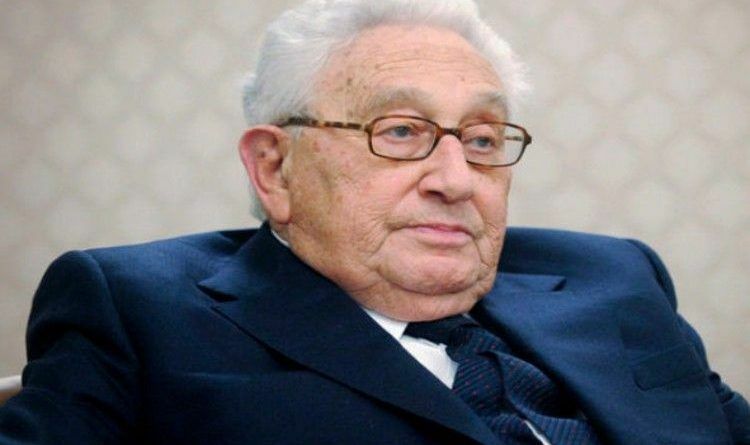 Kissinger is absolutely correct. When everyone was just thinking about what needed to be said, Trump verbalizes it. He didn’t care about political correctness, and the voters responded. President Trump’s new direction will make America Set sail again. Trump is indeed a strange phenomenon. From when he first started to campaign, he was willing to say and do the things all the other candidates were not. Once more Trump managed to survive the things other candidates were not able to.At first, the left did not take Trump seriously. Then when they realized he might be a threat, they threw everything they had at Trump to try to distract the American people from the corruption of Hillary. However, the American people were tired. We were tired of all the lies, tired of the same old promises from the same old politicians. Most of all we were tired of looking back at the good old days and thinking that we would never seem them again. While Obama was running around apologizing to the world for America, our freedoms, our values and our way of life, Trump was saying let’s Make America Great Again! For the first time in years, we had a man who was both willing to and indeed was proud to stand up for America. Trump said let’s put America first. However much to the surprise of many other world leaders, Trump is not an isolationist. In fact, Kissinger says that now. Every country now has to consider two things. One, their perception that the previous president, or the outgoing president, basically withdrew America from international politics, so that they had to make their own assessments of their necessities,” he said. Trump’s victory is affecting many other elections around the world from the rising popularity of Marie Le Pen in France to growing discontent at Merkel in Germany. People are looking at Trump’s election as America’s victory over the liberal elite. They are thinking that if it happened in America maybe it could happen here. America is in many ways the country that guides the world. As America goes so does the rest of the world. Many people assume Trump will also neglect the rest of the world, thanks to his assertion to put America first. But that is far from the truth. Trump is an expert negotiator who has worked with people from all over the world. No doubt he will develop strategies for our foreign relations that will be amicable to all.Trump has forever changed the face of politics. He seemingly broke every rule in the political handbook and still won.While the liberal elite can only scratch their head and ask themselves how this is possible? The American and other free people of the world already know the answer. I agree. But it should not be a phenomenon to be a person that respects our country, supports our laws and wants citizens to have a good life. That should not be news! But after the last 8 years, it is.